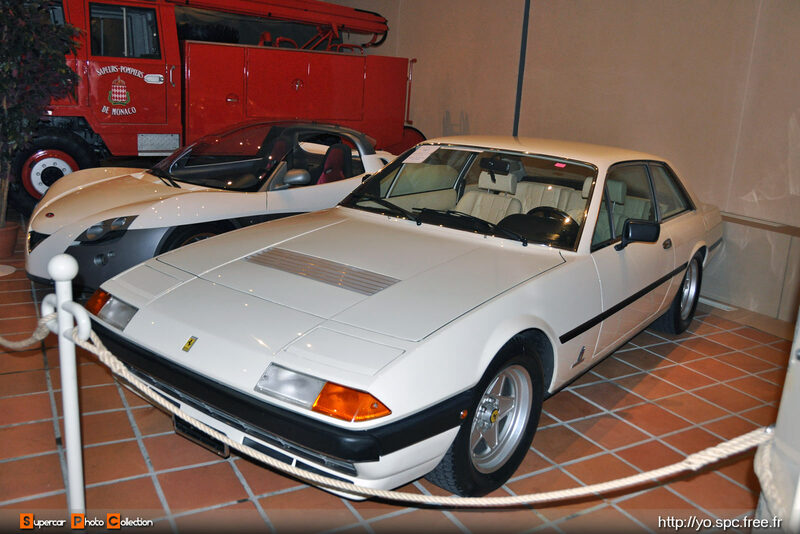 I came across this one and frankly I was not aware there was a car museum in Monaco. 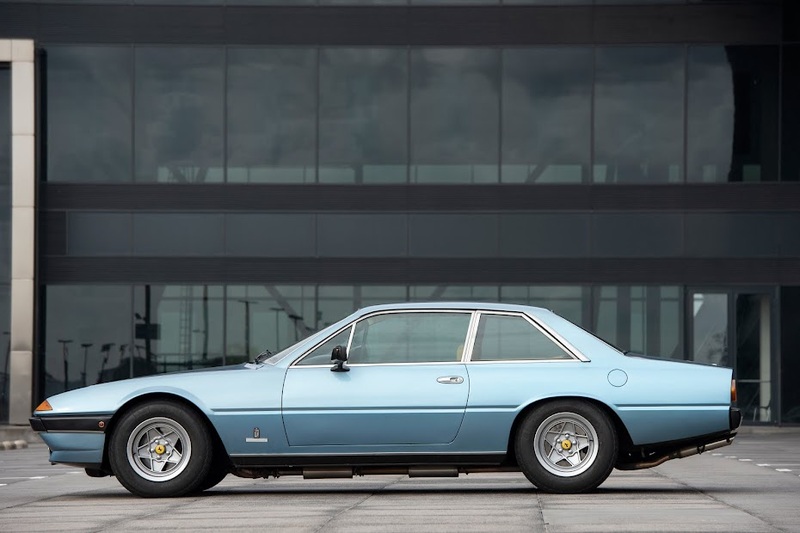 But since the Prince de Monaco is a car enthusiast I should not be surprised. I'm not sure if the spotted 400i is part of his collection or if it was part of a temporary exhibition or such. 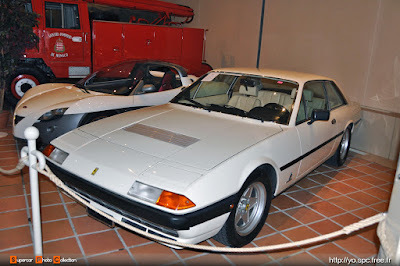 In any case it's a Ferrari 400i white on white, can't be many of them. So I wonder if this is a known one? The black striping is definately a remarkable feature as well.